When a group of 15 seven and eight-year-olds become first-time birders for a day, there’s no stopping their curiosity, excitement and all around fun. That’s exactly what happened last week when JC led a group of students from the Montezuma Elementary School on a bird watching outing and nature lesson in the outskirts of the nearby town Cabuya. The goal of the day was for the group of first and second grade kids to get an in-depth lesson about four birds they would be sure to see in the area: Yellow-crowned Night Heron, Snowy Egret, Little Blue Heron, and Brown Pelican. 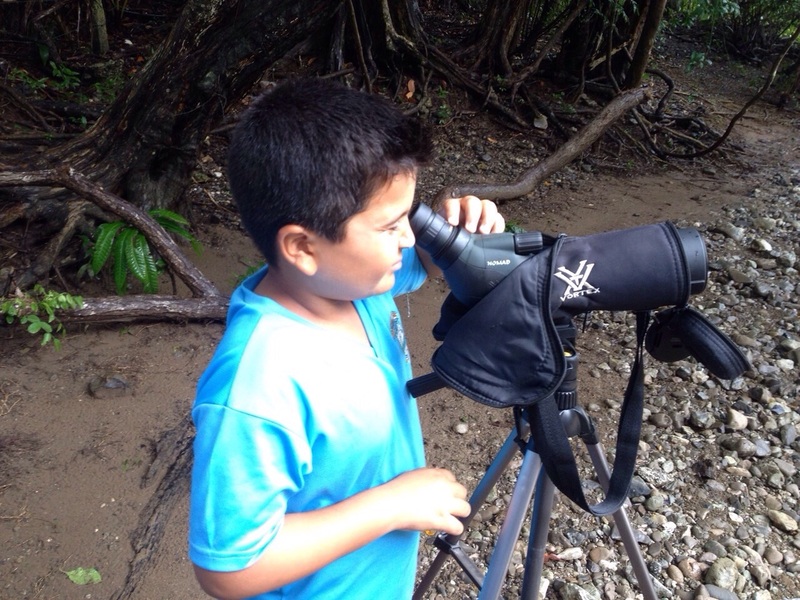 Learning the names of these birds in both Spanish and English, as well as details of the species’ appearance and behavior, the group then got a chance to view the birds through a scope and binoculars. Getting an up-close v iew of the birds using these tools piqued interest even more and got the kids excited about the bright colors they could see and compelled them to seek out more and different birds on their own. 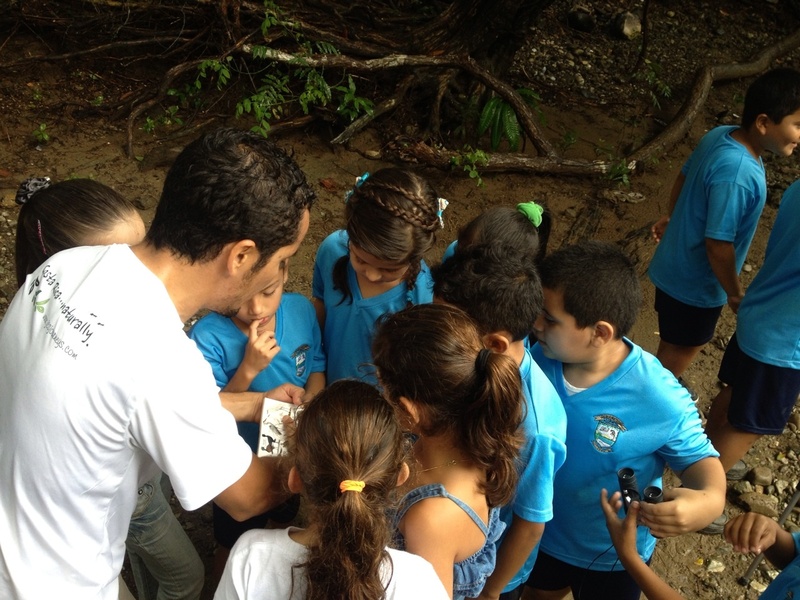 The kids learned that there were officially 903 species of birds in Costa Rica and spotted a hummingbird which offered a prime opportunity to explain how hummingbirds are great pollinators, and thus the importance of protecting them and all wildlife. In addition to the many birds kids learned about that day, howler monkeys made a grand appearance, and while these kids are no strangers to the sight of a howler monkey, JC pointed out some interesting facts about them and made his famous howler imitation much to their amusement. 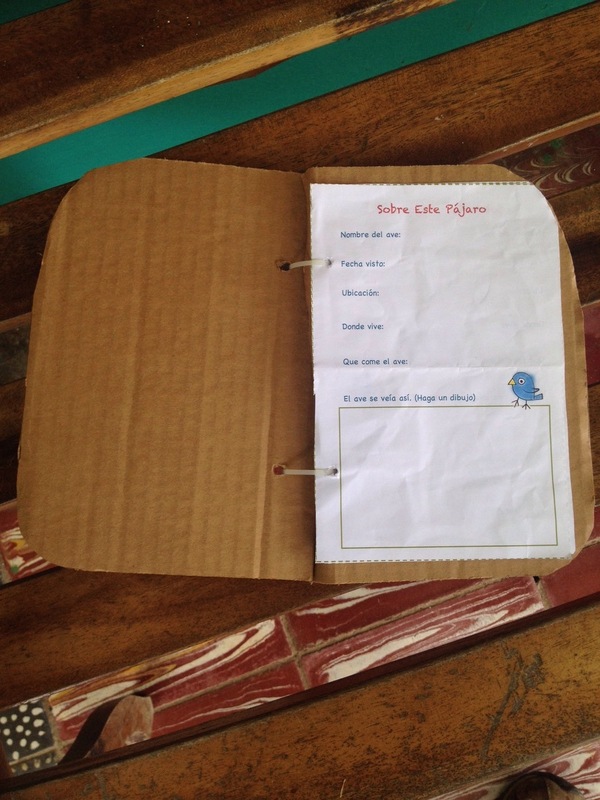 L astly, as part of their final lesson, the kids each received a birding journal crafted from recycled cereal boxes, milk cartons and cardboard to integrate the concepts of recycling and environmental protection for the sake of wildlife conservation. Filled with new knowledge, the group will later jot down details and draw pictures in their journals recalling information from the outing such as the bird’s name, location, diet and migration patterns to reinforce their lesson. But before returning to school, Kevin, a local shuttle operator and driver for the day, encouraged each student to collect a few pieces of rubbish strewn around the beach to deposit it in it’s proper recycling bin back in town. These kids are awesome! We can see that they are truly inspired and already have great respect for the environment and wildlife around them. 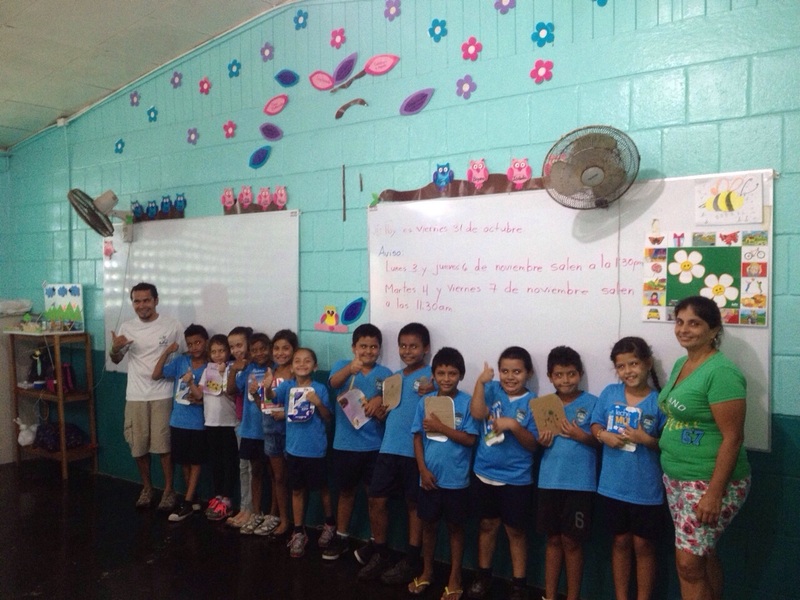 In timing with World Responsible Tourism Day, this small outing is just the type of thing we hope to continue doing with Montezuma School and other schools in the area. We love doing tours and sharing this love of nature and environment with visitors from around the world, but it’s just as important for us to share it with those around us every day as well. See more info about our birding tours here.